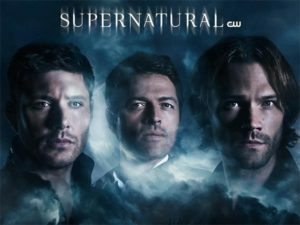 After its historic run on The CW, the adventures of the Winchester brothers is finally coming to an end, that is after one more season for fans to say goodbye. The CW has announced that its dark fantasy television series will be ending after its 15th season. The series currently ranks as the longest-running sci-fi/genre series in the history of US TV. “Firstly, we would like to thank all the people who have been involved with the show both in front of and behind the camera,” executive producers Robert Singer and Andrew Dabb announced. Stars Jared Padalecki, Jensen Ackles, as well as co-star Misha Collins took to social media to express gratitude to fans. The series focuses on Padalecki and Ackles’s characters as the Sam and Dean Winchester brothers who hunt creatures of the night and other paranormal beings. Currently in its 14th season, the show has gained a following throughout is record breaking run. Created by Eric Kripke, the show recently celebrated its 300th episode and will eventually have aired 327 episodes when all is said and done. This entry was posted in Horror, TV by admin. Bookmark the permalink.